Get ready for a speed demon of a commercial truck. Workhorse Group said its planned W-15 electric pickup truck will go from zero to 60 mph in just 5.5 seconds. “Without a load, it is a rocket,” said Stephen Burns, founder and chief executive of the Loveland, Ohio, commercial vehicle company. The truck’s rapid acceleration is a function of how the electric drivetrain works combined with the power the vehicle needs to tow and haul equipment. “To give this enough power to do the job, you wind up with a fast truck,” Burns said. Drivers will have to shift into a “beast” mode to have full access to the speed, he said. That way someone won’t accidently take off at an unsafe speed while towing equipment. “We can limit how much current goes to the motors,” Burns said. Burns gave Trucks.com the technical specifications for the electric light-duty work truck as Workhorse gets ready to unveil a working prototype at the Advanced Clean Transportation Expo in Long Beach, Calif., next month. The W-15 will offer 460 horsepower and have an 80-mile range that will be supplemented by a gas engine that generates electricity to extend the total range. Workhouse did not provide specific details. The truck will have an estimated 75 MPGe fuel efficiency rating in all-electric operation. All-wheel drive will be a standard feature as well as active safety systems, including collision alert with automatic braking and lane-departure warning. 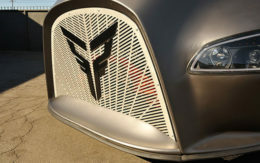 The truck will have a composite body with carbon fiber panels. It will come in a double cab with a standard bed configuration. Workhorse is packing the W-15 with a 7.2 kW power system that allows tools to be plugged directly into the battery power source without the truck running. It will have the same ground clearance as a standard pickup. 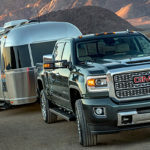 The towing capability is targeted at 5,500 pounds, and the truck will have a receiver hitch built into the custom chassis. It will handle a payload of up to 2,200 pounds. The W-15 will incorporate a version of the E-Gen electric technology already used in the company’s medium-duty truck designs and will be able to charge using standard J1772 stations. Production models are scheduled for delivery in 2018. The electric truck, which would be the first in the pickup segment built in the U.S., is already gaining the attention of commercial customers. North Carolina-based power company Duke Energy has signed a nonbinding letter of interest for at least 500 trucks by 2019. The city of Orlando, Fla., also said it will purchase the vehicles. Altogether, Workhorse says it has nonbinding commitments for 2,150 trucks, or about $113 million worth of business. Workhorse said it will price the W-15 at $52,500, before federal or state incentives for electric vehicles. The company is in negotiations with more fleet customers, Burns said. By offering a pickup, Workhorse is attacking a huge market. Pickup trucks are among the most popular vehicles in the U.S. auto market. Led by Ford Motor Co. with its F-Series line, automakers sold 2.7 million pickups last year, accounting for almost 6 percent of all auto sales in 2016. Almost all of those vehicles had internal combustion engines fueled by gasoline or diesel. A small percentage are powered by natural gas. Although pickups were a popular consumer choice, Workhorse is targeting its vehicles at commercial fleets that can install charging equipment at their worksites, Burns said. But he hasn’t ruled out eventual sales to consumers after Workhorse has developed a nationwide sales and service center network. “This is such a giant category that if we could get just 1 or 2 percent, it would be a lot of business,” Burns said. “I definitely think some consumers will find this interesting, but many contractors as well,” said Michael Ramsey, the automotive analyst at Gartner Inc.
A dearth of body styles has hurt the introduction of electric vehicles, he said. 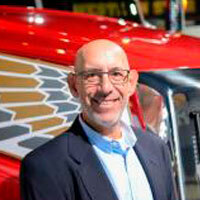 “Having a truck offering is a no-brainer. It’s one of the most popular vehicle styles in the U.S.,” Ramsey said. While consumers tend to gravitate to specific truck brands, fleet operators make their purchases based on whether a vehicle has a lower operating cost. That provides Workhorse – a tiny player in the vehicle market – an avenue to win pickup sales, Burns said. Although the initial cost of the truck and the charging infrastructure will be more than a comparable Ford F-150 gasoline pickup, Burns said the lower operating cost – primarily because electricity is less expensive than gasoline per mile traveled and has lower maintenance expenses – will recoup the premium in about four years. The battery pack will be manufactured at Workhorse’s Loveland facility, while the truck itself will be built at the company’s factory in Union City, Ind. Workhorse also has a contract with UPS to provide more than 300 larger battery-electric delivery vehicles. The company and its partner, body manufacturer VT Hackney, are among five teams competing to win a contract with the U.S. Postal Service to produce hundreds of thousands of new mail delivery trucks. Workhorse and VT Hackney are developing 50 prototype vehicles for the agency to evaluate. Workhorse is also developing a truck-mounted, Federal Aviation Administration-compliant drone delivery system called HorseFly. Jerry, whats the best price on a 2 seat electric car ? You might check out the Fiat 500e. There were some really good lease deals for that at one point, especially for California residents. Not sure what the offer is now.